Hello, Watabe of Marketing Div. Watching recently marketing team, Watabe is doing arbitrary efforts to leave the state of the event as a digest movie without permission. Of course, we are making a holding report firmly, but the video is also quite nice! I recently noticed that it was. 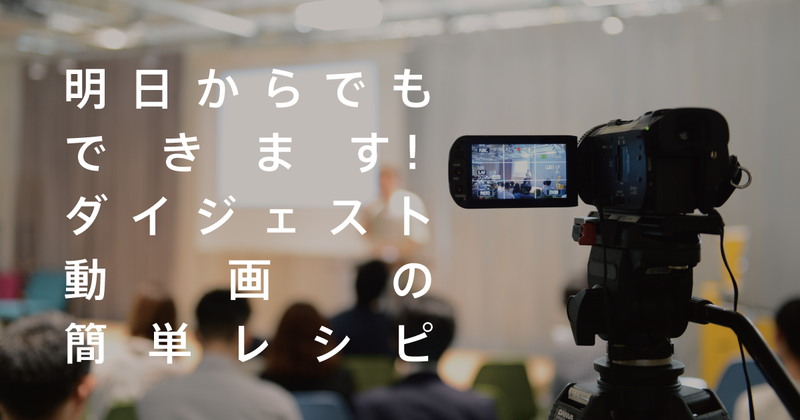 Today, Watabe summarized the reason why Watabe tries to archive event videos and marketing team, and Tips for movie production that you can easily read even if you are reading this. We have held numerous events annually, but basically the events organized are making reports. There are mainly two reasons for making a report. ” Tell the event content to those who did not visit ” ” Record and archive what you did “. In the past three years I have produced and sent nearly 200 event reports. The latest event report is here! A good place to report (text) is where you can write up to details. 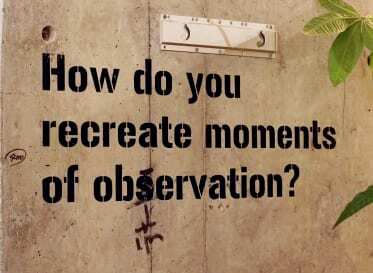 It is possible to write the intention and feelings of the organizer later, and it is also possible to create completely different contexts in the extreme. But, in reality there are weak points. It is weak against ” movement ” ” realistic feeling “. 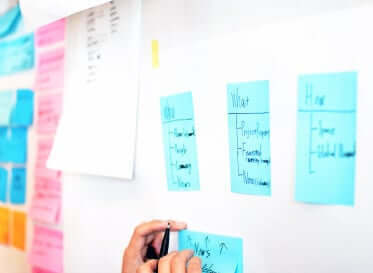 Recently workshops and events moving hands like Hack-a-thon are increasing, but I personally felt that there was a limit to expressing the appearance of these events only with letters and photos . Besides the report, if there is a digest movie, too, you can tell the enthusiasm of the venue! I thought so, I actually took some pictures and made it. The event of the 4th series event focusing on products selected for "Good Design · Best 100" in 2013, closer to innovation hints. A lightweight crutch that made use of carbon technology appeared in the venue! KOIL in Kashiwanoha leaves, live broadcasting with Shanghai China, IoT (Internet things) Hackasson carried out. Although it is a movie that can not be said to be high quality at all, it should have been able to convey the realism, such as how to seriously tackle manufacturing, communication with China, enthusiasm of the venue and participants' voice! In addition, this asked a professional, but I watch a movie of the event of the MORE THAN project held in Hikari. 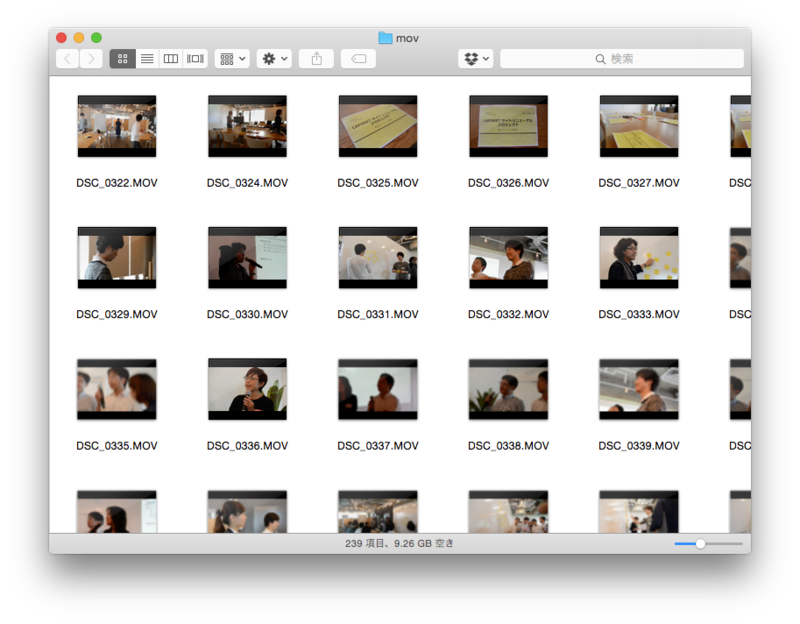 I will explain how to make an easy digest movie which can be done from tomorrow. This editing software uses the latest version of iMovie. Windows users think that I can make it in almost the same way if I use Movie Maker. I am using the D600 or Canon XA 10 in the company for the shooting equipment. The point that picks up the equipment is that the camera shake correction function is attached. If you hold down even this, I think what you can use. (For those who say “No such expensive equipment!”) For the time being, for the time being, it may be good to see for the first time from iPhone and iMovie! Without materials you can not make delicious food. Let’s take a video as a material first! The point is to take lots of various scenes anyway! It is a one shot game that can not be taken again. Let’s take a lot of materials first. Approximately 10 to 30 seconds is a good idea for one cut. If you can take a lot of materials, the next is edit. Import the video you take into iMovie. 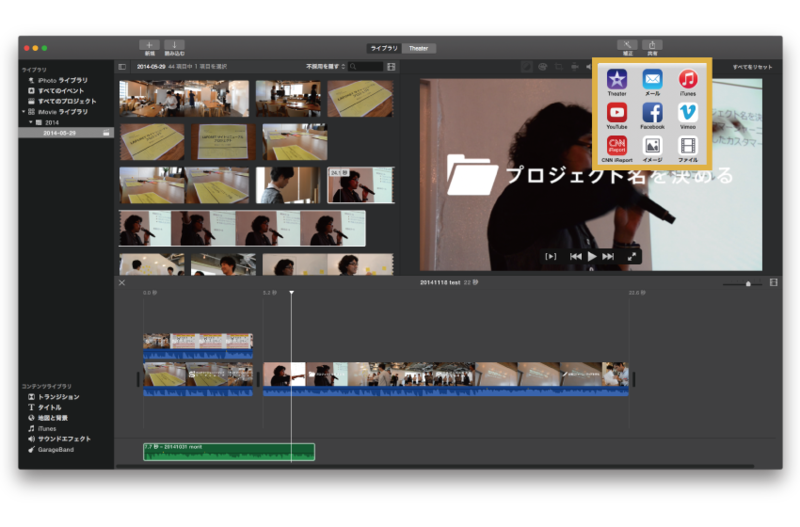 For editing in iMovie, first create a “project”. Load the videos loaded there and drag and drop the videos you want to use on the timeline to join them together. The animation has a layer structure and it can be assembled in two steps. There is also an advanced technique for assembling in two stages, shedding the lower story while pouring the upper picture, so please try it! In addition, iMovie can plug in comments. 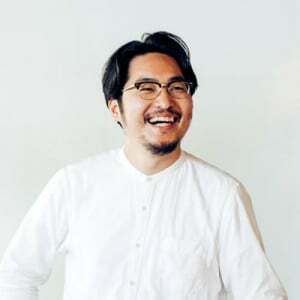 Watanabe’s personal recommendation is to prepare a transparent PNG with an editing tool such as Illustrator, and put text on the movie by covering it. BGM is quite important. 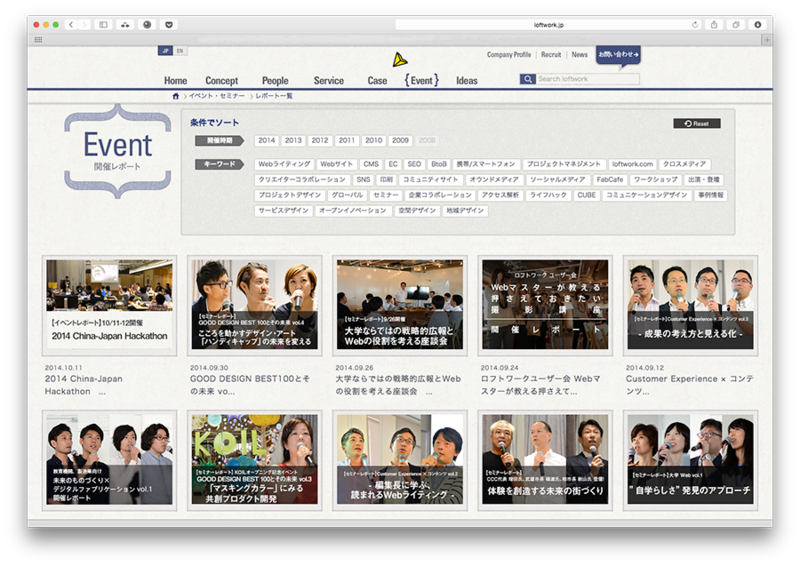 If you want to convey more atmosphere, we recommend using BGM. However, finding music that fits the taste of that video is a painstaking work. 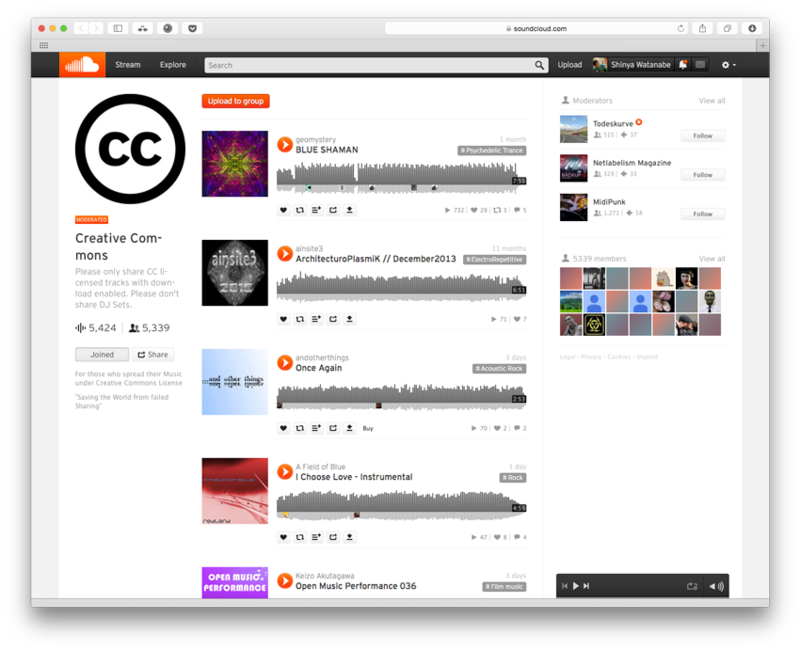 Watabe often uses sound sources with CC license at SoundCloud. In addition, it is recommended to utilize Jamendo and AudioJungle . Once you find BGM, you can download it by simply dropping the downloaded data onto iMovie’s timeline. The trick in turning on BGM is to switch screens and comment according to the syllable of the music . It will be a good video with a tempo. When editing is over, just write the video to the data. 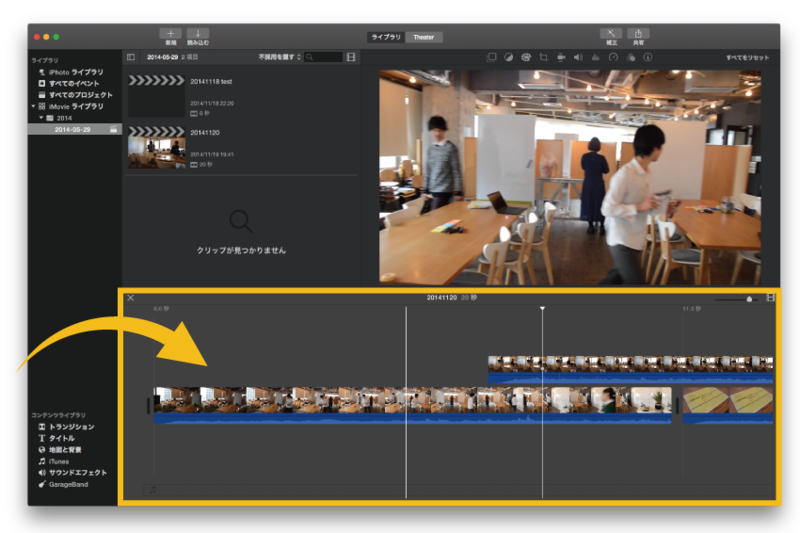 In iMovie, you can export data from “Sharing → File”. Even if you are about 1 minute of video, exporting with HD (1920 × 1080) will end in a few minutes . There is also a convenient function that you can upload directly to a video site such as Youtube! After all, what would you like to do with a video? The following three reasons why you think that it is good to keep the state of the event in the movie that I felt after actually making it. The presence of the event is transmitted to the preeminent batuns . This is absolutely not winning in photos and letter reports. Easy to use as a material to explain to others . It is pretty convenient when you show it on a PC and PC etc. It is easier than ever to imagine . It is better to try first than to not do it! On the contrary, I thought what was not good for animation. Text has weak ability to convey details . I am good at telling the feeling of the air, but it is a little weak for example to convey detailed information such as titles of each of the speakers, detailed contents of the program, comments of the participants. I can not redo it . If I take a picture of the day, I can not do anything anymore. If it is a letter, it will be possible to scratch the imagination and write it, but the movie does not do so. So, the amount of moving picture material taken inevitably tends to be enormous. It may be weird to encourage people to watch action . I felt it was not suitable for urging actions, for example, wanting to transition to some page. However, I think that this disadvantage can actually be solved easily if you embed a movie on a web page and combine it with text information! It should rarely only one person walk alone. 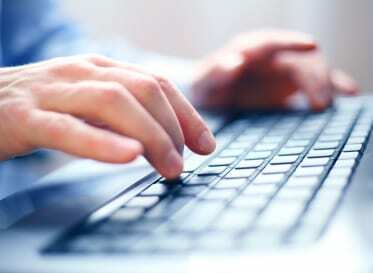 If you combine text and video well it will surely be possible to create exciting Web content! Please do try that out. I graduated from the international politics and economics department of Aoyama Gakuin University. As a student I was involved with the management of a project on which even representative Chiaki Hayashi served as an examiner. Using this project as a jumping off point, I joined Loftwork as an intern while still a college student. In 2012 I became an official employee of the organization and now I handle the planning and management of business seminars and collaborative events with outside organizations for the marketing Div. Recently, my increasing weight has started to annoy me.